Now, I can’t say definitively whether any of that is true, but I do know this: Millennials and Generation Z are fast becoming two of the biggest contributors to our economy. And, as you might expect, their shopping habits are quite different from those of older generations, and in some cases, different from each other as well. And since the influence of these groups is only going to increase, It’s time we stop poking fun at them and start adjusting to the way they shop. In this post, we’ll take a look at who these groups are, then break down their retail tendencies and explore what can be done to reach these consumers. First, let’s do some definitions. 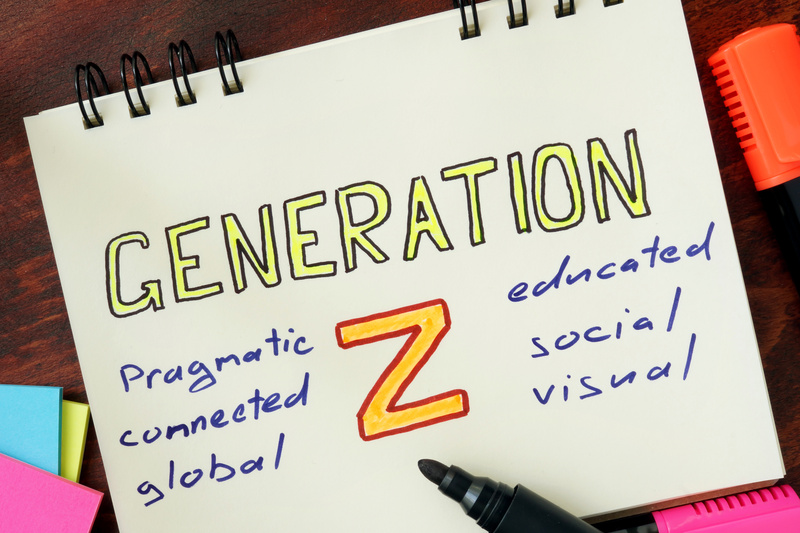 Millennials and Generation Z: Who are they? “The first generation to reach adulthood in the new millennium, Millennials are the young technology gurus who thrive on new innovations, startups and working out of coffee shops … Time magazine called them “The Me Me Me Generation” because they want it all. They are known as confident, entitled and depressed. This is probably the part where I should disclose that I am a card-carrying millennial. I’ve taken more than my share of gratuitous, groan-worthy selfies and I regularly eat avocado toast (I’ve even suffered an Avocado Hand injury, which really is a thing). I’ve also whole-heartedly contributed to killing all the things that older generations supposedly love, like cruises, the American Dream (seems a bit harsh), napkins, and Applebee’s. “Simultaneously, their minds and views of the world were shaped in the midst of the economic turmoil of the Great Recession. They’ve lived through the legalization of gay marriage and marijuana, and the threats of terrorism, global warming and gun violence. A recent Wall Street Journal article describes Generation Z as ‘…a scarred generation, cautious and hardened by economic and social turbulence,’ and likens the group to the Silent Generation, those born between 1928 and 1945 that carried the economic scars of the Great Depression and World War II into adulthood while reaping the rewards of a booming postwar economy. Similarly, Gen Z is coming of age in an economy with an unemployment rate of 4%. How connected are they? As I write this, sitting in a coffee shop whose name rhymes with Scarschmucks, I’m sitting near a Gen Z-er who is sipping a caramel-mocha-something-or-other and checking social media on her smartphone. Routinely, as she tips her head back to sip some caffeinated goodness, she raises her phone alongside her beverage so it’s always directly in front of her face. Because one should never have to take their eyes off the screen, even for a split second. Yes, that connected. In the retail-sphere, how are these generations similar? They prefer to shop in-store: While both generations are extremely tech savvy, and will research products heavily online before deciding on a purchase, they are more likely to make a purchase in-store rather than online.As a retailer, your move is: Be sure to provide robust online product listings wherever possible. Make sure customers know what you have to offer, along with detailed product information such as features, use cases, and dimensions (if applicable). Do what you can to get them excited to purchase, like they need to get the product in their hands yesterday; consider utilizing testimonials or customer reviews that put product features in real terms, e.g. “These boots are great for hiking, but not necessarily trail running”. Then, do everything you can to let them know when and where they can make the purchase, and that the item is in stock and will be there when they arrive. Nothing is worse than making a special trip to the store for something, then being let down when we’ve driven (or Ubered, or electric scootered…ironically of course) across town. Price is king: Like their parents, Millennials and Gen Z are more motivated by price than brand-loyalty. Both like to keep tabs on brands by following them on social media. But contrary to most marketer logic, they don’t follow brands because they are interested in what brands have to say (Wendy’s or Moon Pie twitter accounts excluded), but rather because they want the insider track on sales and discounts. And yes, both generations will jump ship if another comparable brand has a better sale.What can retailers do? Always, always, always be aware of how your pricing compares to competitors, and when you are able to run a sale or special discount, be sure your followers, fans and newsletter recipients know about it. Also, consider using an occasional followers-only discount to increase sales during slow periods. When it comes to shopping habits, how are Millennials and Generation Z different? Other than price, Millennials will be brand-loyal based on experience, Gen Z by social-mindedness: For both generations, price is definitely the number one motivator for making a purchase. But after price, there is a slight split in motivation between Millennials and Gen Z. It probably won’t surprise anyone that Millennials, described above as the “Me Me Me” generation, will be motivated by a buying experience that makes them feel important. Gen Z, however, will care more about what a brand stands for (increasingly, for example, they even expect brands to take a side on controversial issues), and what measures businesses are taking towards sustainability.How to win the brand loyalty battle: Remember, the biggest purchase motivator is still cost, so keep price points and discount opportunities top-of-mind at all times. Beyond this factor, look at how your in-store buying experience can be made more convenient (perhaps even improving retail floor layouts or staffing optimization with Flonomics) or immersive (either through technology or instagrammy-ness). Moreover, consider implementing sustainable, socially conscious elements into your supply chain, and be sure to tell customers about it both on- and offline. Generation Z is very frugal: They saw their families struggle through the great financial crisis, and it’s had a lasting impact. For this reason, they are quite willing to wait until the sales are right to make a purchase. Gen Z has also (mostly) not yet been to college, and are thus unlikely to have accrued any significant (read: crippling) debt, student or otherwise. But they are also not eager to begin taking on any debt (because they’re smart), so they will likely structure their finances and approach any necessary or discretionary spending accordingly.What can be done: Know that it will take a while to convince Gen Z to make a purchasing decision. Be sure to communicate the value and social consciousness of your products, keep a close eye on price, and be patient. Ready to learn how you can implement in-store technology to target Millennials and Generation Z? Get in touch with us!